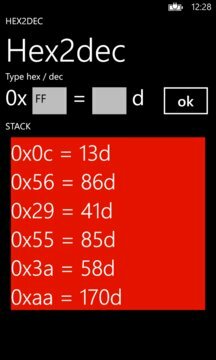 Convert hexadecimal numbers into decimal, and vice-versa. Shows previous operations in a stack. Useful for programers, as a hand calculator and post-it.